Air Niugini together with the Japanese travel agents and tour operators continue to create awareness in Japan in preparation for the airline’s second service commencing next month. Air Niugini’s Chief Executive Officer, Mr Simon Foo said on the airline’s invitation, Japanese Travel writers arrived in the country last month where they visited Mt Hagen, Madang, Alotau and Rabaul and wrote feature stories, promoting PNG in the Japanese market. Apart from travel writers, a familiarization trip has been organized for a group of 8 Japanese Travel Agents who will travel to Papua New Guinea and other Pacific Island countries that Air Niugini operates to. This group specializes in selling the Pacific and Australia to the Japanese market. “ We have to agree on certain airfare pricing with tour operators for tour packages as the second service allows maximum flexibility for the Japanese operators to create package holidays of the most attractive duration to maximize tourism numbers.” Mr Foo said. Mr Foo also urged tour operators and the tourism industry in general to improve customer services and language skills to cater for the Japanese tourists. Air Niugini is placing advertisement in the Japanese media, update the airline’s website with promotions on Japan and create awareness on the Japanese tours in Australia, Fiji and Solomon Island markets. Air Niugini’s second service to Narita airport comes into effect on Wednesday 06th July this year. Flight PX 054 will be operating every Wednesday, departing Port Moresby at 2:10pm and arrives in Narita at 7:55pm(local time.) The return flight arrives in Port Moresby on Thursdays at 04:55am. 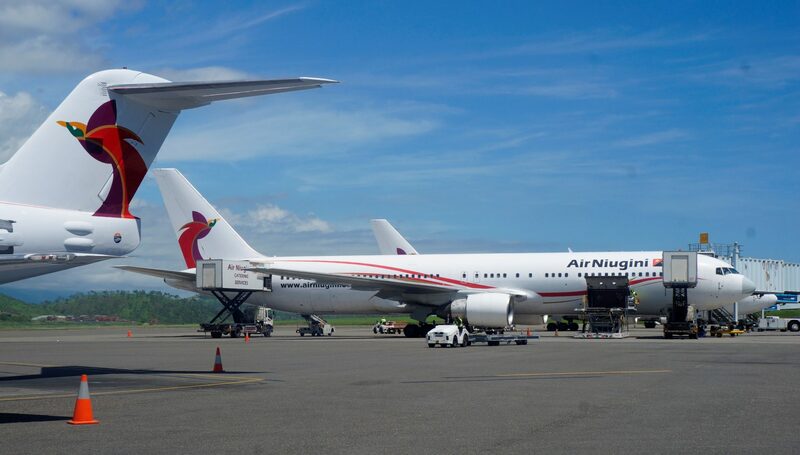 Air Niugini currently operates a once a week service to Japan, departing every Saturday at 2:10pm. Air Niugini’s Japan route carries the highest percentage of inbound tourists out of all the countries that ANG flies to, hence the additional service is widely welcomed by tourism operators right across the country.